MEMPHIS, Tenn., – Volunteer Memphis and Leadership Memphis connected more than 1,000 Mid-South volunteers with over 30 partner organizations across ten counties to honor Dr. Martin Luther King’s legacy through more than 2,000 hours of volunteer service as part of the Third Annual MLK Days of Service January 18 to 21. Mid-South volunteers were joined by hundreds of thousands of volunteers across the country on this national day of service. Tire to Trails Kick-Off at T.O. 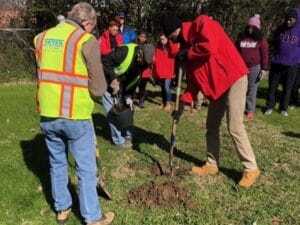 Fuller State Park – volunteers collected more than 10,000 dumped tires to be used in the construction of a 3-mile long walking and biking trail. 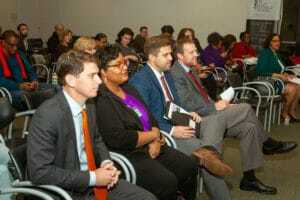 The trail will be made up of more than 40,000 tires collected around the Memphis Area and, when it is complete, it will be one of the longest porous trails in the world. Treadwell Middle School Clean Up – volunteers installed solar panels in the park and around the walking trail, picked up trash on the school campus, cleaned up around the property and re-freshened the flower beds. Orgill Park Golf Course and Edmund Orgill Park Clean Up – Volunteers worked on several painting projects, installed new animal proof trash receptacles and new park benches, built an ADA Compliant bridge across the creek, pruned trees, picked up limbs, and removed debris. Indoor Chores at Memphis Botanic Garden – Volunteers prepared materials for upcoming youth education events that teach the over 40,000 children who visit the Garden. Memphis City Beautiful and Clean Memphis lead several clean-up projects at the parks, public spaces, and community properties throughout the region. 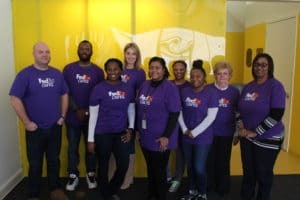 MLK Days of Service shine a spotlight on service as a powerful force to bridge economic and social divides – in January and throughout the year. National Days of Service provide Americans with an opportunity to join neighbors and local leaders to tackle community challenges and strengthen the nation. 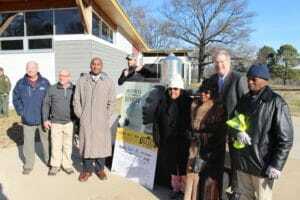 Left to right: Brock Hill (Deputy Commissioner of TDEC), David Salyers (Commissioner of TDEC), Lee Harris (Mayor of Shelby County), Michael Meister (Trails and Vistas Administrator for Tennessee State Parks), Raumesh Akbari (State Senator), Barbra Cooper (State Representative), Jim Strickland (mayor of the city of Memphis), Van Rutherford (president of the Friends of T.O. Fuller State Park) at the kick off of the Tires to Trails project at T.O. Fuller State Park. Left to right: Worth Morgan (City of Memphis – City Council – District 5), Angela Hill (Administrator, Parks and Grounds Maintenance – Shelby County Government), Frankie Dakin (Public Outreach Liaison – Shelby County Government), and David Bradford (Shelby County Commissioner – District 2) at the MLK Days of Service Kick-Off. 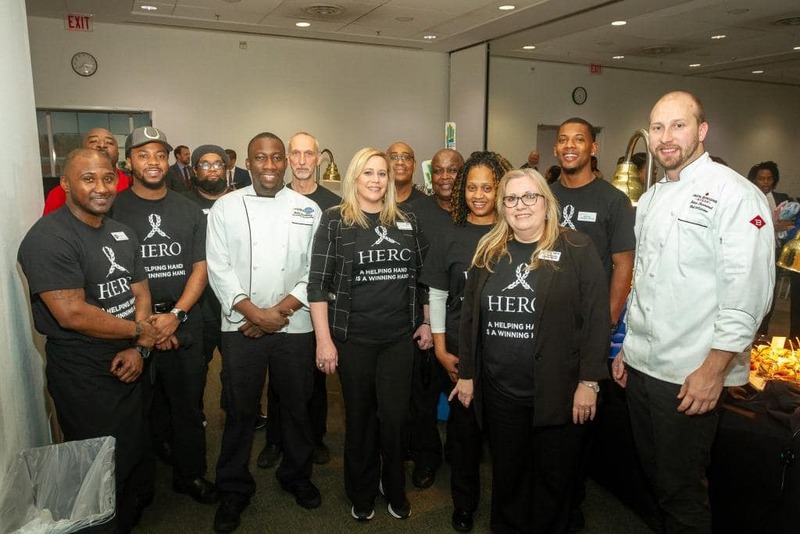 Caesars Entertainment HERO volunteers make sure everyone at the MLK Days of Service Kick-Off enjoys some delicious refreshments. 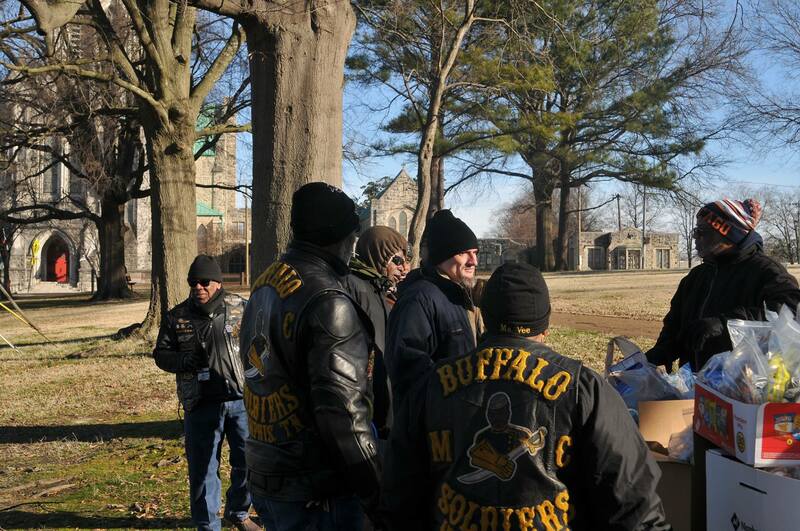 Volunteers from Buffalo Soldiers MC Memphis hand out care packages and hot cocoa to the homeless. 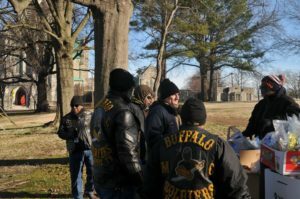 Volunteers with West TN Urban Forestry Council clean up and beautify Spanish American War Memorial Park. FedEx Cares volunteers assist in updating the Leadership Memphis Database at the Leadership Memphis office.